Who’s paying for removal of the dam? Restoration Systems will be paying. It won’t cost a cent in taxpayer money. How? 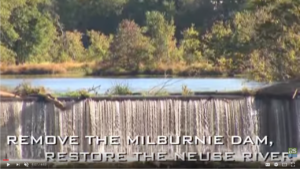 Because a mitigation bank generates ‘mitigation credits’ which are sold to offset the ecological impact of developments in the Upper Neuse River Basin. https://milburniedam.com/wp-content/uploads/2017/11/RS-logo-340x156-300x138.png 0 0 admin https://milburniedam.com/wp-content/uploads/2017/11/RS-logo-340x156-300x138.png admin2011-10-20 11:01:092011-10-20 11:01:09Who’s paying for removal of the dam?